Question. If I were to ask you how many Irish metal bands you could think of off the top of your head, how many would that be? Other than Gama Bomb, and maybe Waylander, not too many bands from Ireland really stick out (The lack of, at least, Primordial and Mourning Beloveth in your short list is shocking for me, Andrew! Trust me, you need to hear those two...and then investigate further into the bogs of good old Eire! - ED). Well here is one that has been around since the 90s, and has somehow eluded my grasp until now. 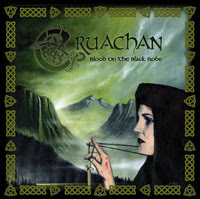 I’m talking, of course, about the Celtic black metal band, Cruachan, from Dublin, Ireland. They’re known as one of the main founders of folk metal, and with the release of 'Blood on the Black Robe', they show they have as much strength as they ever had. The album begins with a short intro, composed of marching war drums and howling wolves, before shifting gears into “I Am Warrior,” which immediately begins with the lively playing of Irish folk instruments, followed shortly by the guitars playing Celtic melodies. 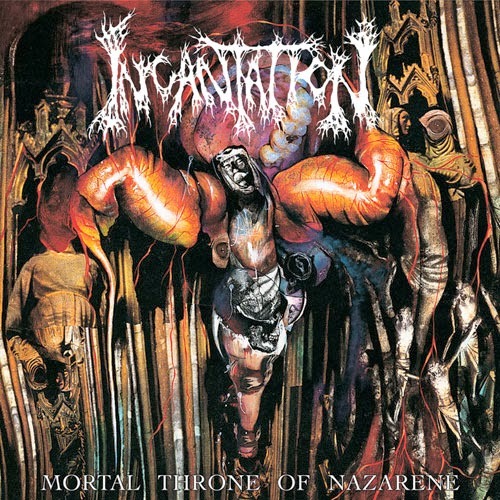 Despite the black metal influence on this track, it’s very interesting, and I’m very impressed with its uniqueness. I never thought a black metal song (whether it’s black folk metal or not) could be this jaunty! The second song on the album, “The Column,” takes things a little more seriously. Powerful riffs, darker melodies, and thunderous drums make for a much deeper track. 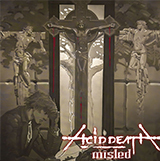 The vocals here aren’t the very best, but they’re very fitting, and are far from bad, even so, some songs, like “Thy Kingdom Gone,” have particularly phenomenal vocal performances, filled with rasp emotion. 'Blood on the Black Robe' has its moments of extremity, moments of melody, of heaviness, and plenty of Celtic folk music. Which brings me to another point. 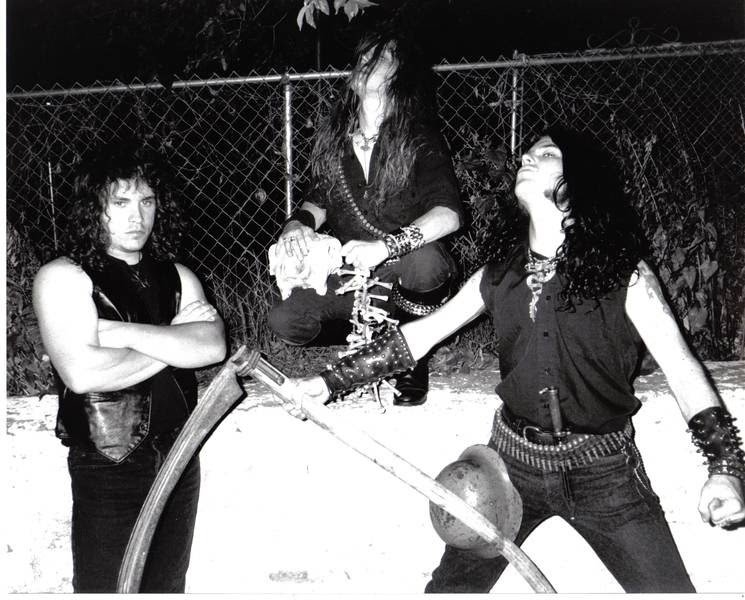 Cruachan know how to the line between being an overly corny folk metal band, and being an awesome black metal band. They know how to use their influence of Celtic folk music without abusing it. Even the more obviously folk influenced tracks, like “An Bean Sidhe,” don’t cross that line into overt, corny territory. Cruachan never failed to impress me so far.